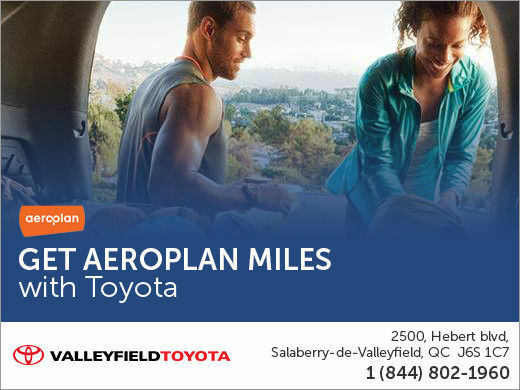 Get Aeroplan Miles with Toyota! Earn Aeroplan Miles when you test drive or purchase a new Toyota vehicle. Earn even more Miles when you bring in your Toyota for service! For a limited time, earn 150 Aeroplan® Bonus Miles* with the purchase of an engine air filter or cabin air filter for your Toyota or Scion. For a limited time, earn 250 bonus miles when you test drive a new Toyota or Scion by August 31, 2017 in addition to the regular 250 base mile offer--that’s 500 miles to experience the joy of test driving a brand new Toyota. ◊Test Drive: New Toyota and Scion vehicles only when test driven at a Canadian Toyota dealership. Maximum 1 test drive/30 days, 3 test drives/12 month period per Aeroplan Member. Customers must be an Aeroplan Member prior to the completion of the transaction. Offer subject to change without notice. Some conditions apply. See your Dealer for details. Test drive bonus is valid from July 1, 2017 to August 31, 2017, and is not retroactive. Applies to new Toyota and Scion vehicles only when test driven at a Canadian Toyota dealership. 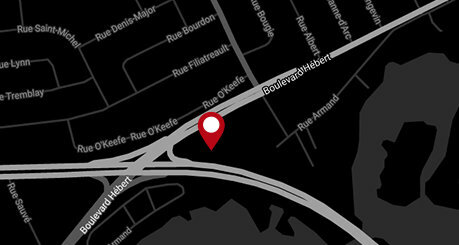 Maximum 1 test drive/30 days, 3 test drives/12 month period per Aeroplan Member. Customers must be an Aeroplan Member prior to the completion of the transaction. Offer subject to change without notice. Some conditions apply. See your Dealer for details. 1Based on a comparison of 2015 Aeroplan Flight Reward bookings against actual market base fares and other leading financial institutions' proprietary travel rewards programs' terms and conditions.